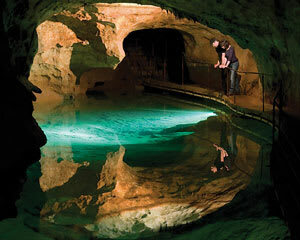 This long and exciting cave tour rewards you with a sense of personal achievement. Its many astonishing features make the effort worthwhile. It offers something to amaze everyone. Jenolan Caves was such an amazing experience, it exceeded my expectations by far and i would recommend this experience to anyone! We had a great time at the caves - a great family day out!